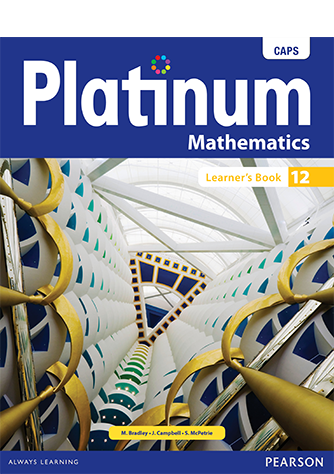 What makes Platinum Mathematics unique? 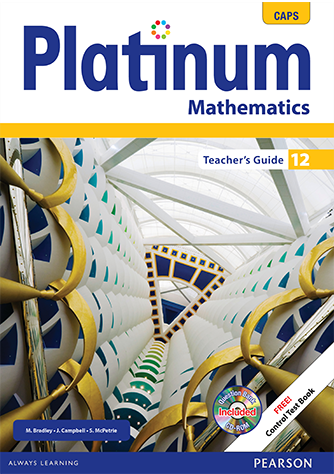 The content is divided into topics and units which provides a clear layout of the Mathematics curriculum coverage. 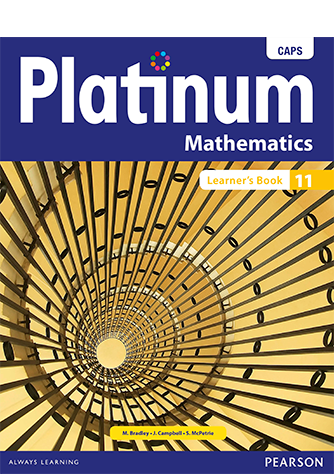 The authors of the Platinum Mathematics series have taken care to describe the content with accessible language to enhance learner’s understanding of the topics, and have summarised each topic to support the student’s grasp of the learning subject. 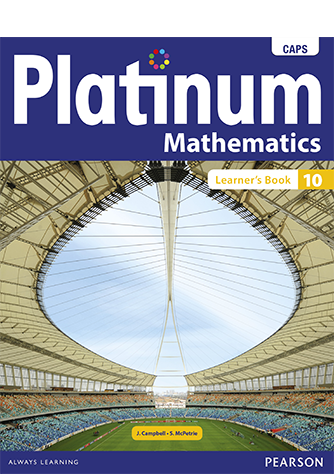 Example boxes with solutions present learners with clear, visual support of the topic and colourful diagrams makes the content visually stimulating and more accessible to learners. 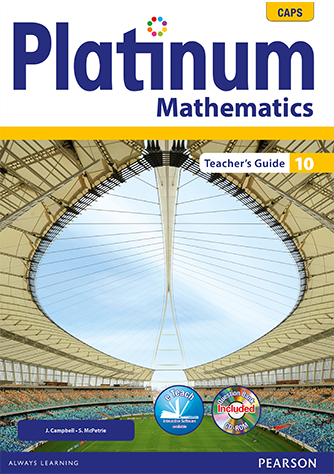 Examination practice papers provide opportunities for exam revision and assessment, and comprehensive memoranda allow learners to check their revision and exam answers. 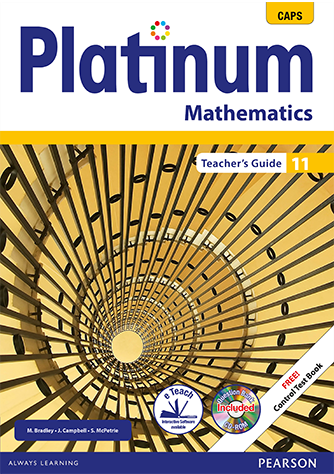 Platinum Mathematics is the only series by any publisher to have been approved from Grades 1 to 12 for the CAPS curriculum.